I cannot believe how quickly October flew by! Here we are thinking about turkeys and cornucopias and things we are grateful for! 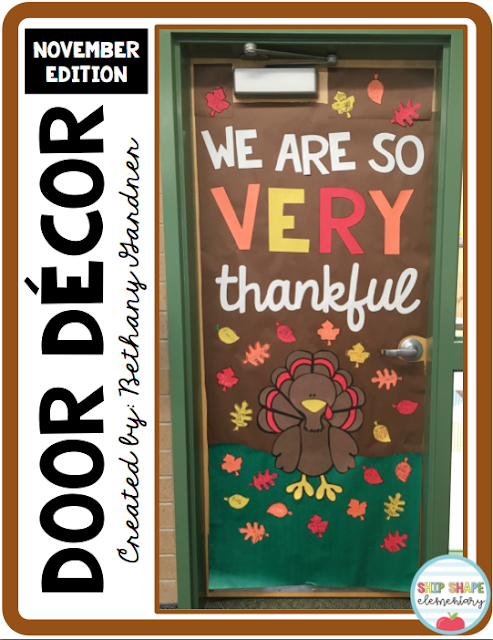 I absolutely love November and was so excited to create a fun door decoration for our classroom this month. Each student was given a paper leaf on which they wrote something that they are grateful for. This actually led to a really decent class discussion about gratitude and the importance of saying, "thank you". I created a packet that includes everything you need (words, turkey, leaves, directions, etc.) 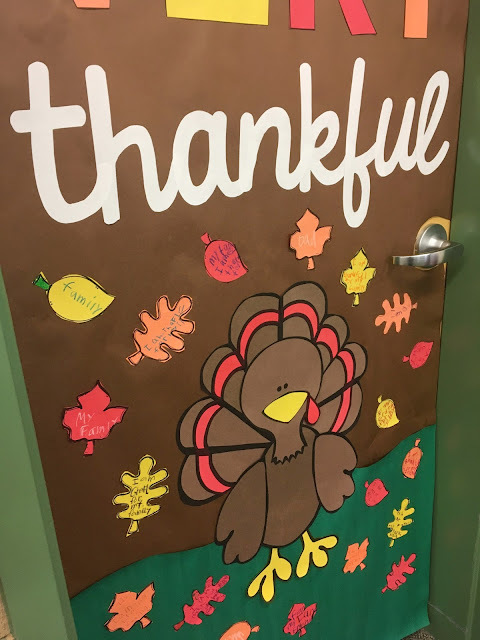 to put together your own darling November door! You can purchase this door decoration kit for yourself by clicking here or on the button below!